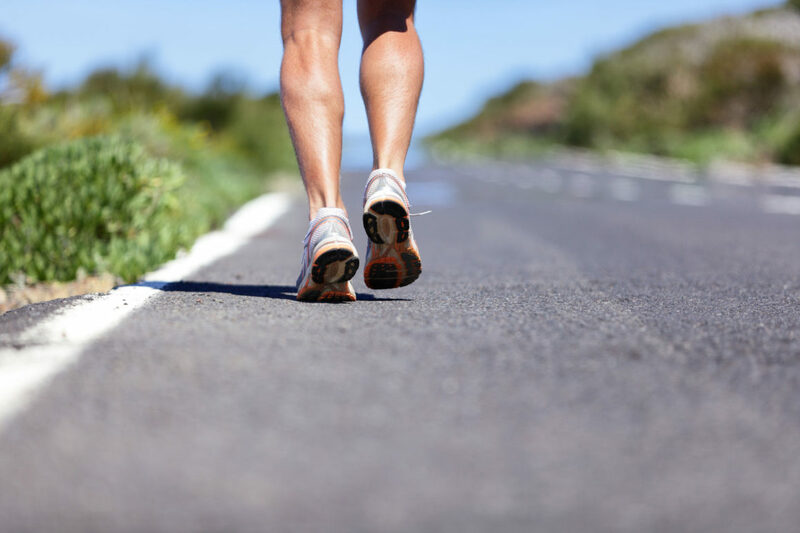 What is Achilles tendonitis ? The main chronic clinical conditions which affect the Achilles tendon are sub-divided into Achilles tendonitis and Achilles tendinosis. Achilles tendonitis strictly means that the superficial layer of the tendon (the paratenon) only is inflammed . However this term is often used loosely for any painful Achilles tendon. Achilles tendinosis describes a deeper problem with the substance of the tendon itself (“wear & tear” of the tendon fibres). Wear and tear though in a tendon is a very different ( and more self-limiting) process when compared to wear and tear of a joint which produces chronic and recurring symptoms. Problems of the Achilles can also be classified into those affecting the main substance of the tendon (“the body”) or the insertional area of the tendon into the back of the heel bone (known as insertional tendonitis or a Haglunds deformity & illustrated in the photos above). What does the Achilles tendon look like ? The Achilles tendon can be thought of almost like a horses’ tail with many longitudinal Achilles tendon fibres running parallel to each other and packed into a flattened ,cylindrical structure . In a healthy tendon these parallel fibres are easily visible on direct inspection of the tendon. If the Achilles tendon undergoes a process of degenerative change (tendinosis) then these well-defined parallel fibres will start to lose their structure. 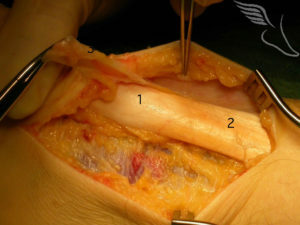 The tendon will look more amorphous and less distinct (1). Such structural change within the tendon can just be very limited and difficult to identify clinically. If things progress however the tendon becomes visibly different with an area of swelling where the structural change has occurred. This may be visible when looking at the tendon. 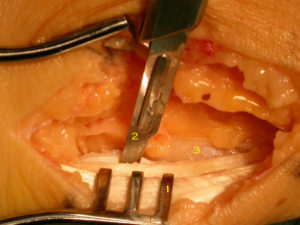 In such cases it is usually easy to define normal tendon both above and beneath a central area of degenerative Achilles. The Achilles tendon is surrounded circumferentially by a fine and thin covering known as the paratenon (3.) This layer looks something like a sausage skin and its function is predominantly to supply blood to the tendon and allow a degree of lubrication to the superficial tendon layers. In Achilles tendonitis it is predominantly this layer that is affected. The main symptom of Achilles Tendonitis is one of pain. This remains very well localised to the problematic area of the tendon and may also be associated with swelling. The symptoms are usually intermittent and may occur initially either during or after periods of increased activity, such as when getting out of bed , after periods of inactivity or sport. Symptoms may progress and effect most weight bearing activity. If particularly severe will be present also at rest or even at night, producing sleep disturbance. If the problem is one of a Haglunds’ deformity with a normal Achilles tendon then the symptoms may exclusively occur in particular shoe wear that compresses the posterior aspect of the heel. The symptoms are very similar wether the problem is tendonitis or tendinosis. Achilles tendons, like all musculoskeletal tissue, are exposed to multiple episodes of minor trauma during function. Why some Achilles tendons degenerate and others don’t is not clearly defined and the factors producing degenerative change are multifactorial. The Achilles tendon has evolved for tensile strength and to transmit the contractile force of the gastrocsoleus calf muscle group. The muscle which is actively contracting and relaxing requires (like all muscle) a significant blood supply. Tendons (the Achilles included) have very little in the way of blood supply required or associated with them. This means they are slow to repair themselves with episodes of minor of chronic repetitive trauma (though of course not when ruptured when a fair amount of bleeding can occur). Not all people are equally susceptible to these types of soft tissue problems. Some people’s collagen is just better than others.. Both operative and non-operative managements are available for Achilles tendonitis. Whether the underlying problem is one of a more superficial inflammation or a more comprehensively degenerative problem of the tendon this makes little difference to the initial conservative treatment. Early management includes an exercised based physiotherapy regime, more passive physiotherapy based intervention such as ultrasound and deep tendon massage and orthotic offloading of the tendon. In general terms, non-operative interventions have success rates somewhere between 60-75%. The success rate with operative interventions is generally higher and a figure of 90% would be highly representative. The types of treatment available can be split into passive (where the patient lies on a couch and has things done to the tendon by the physiotherapist) or an exercise based (active) regime. Both of these routes work both independently and also when used in conjunction. Passive treatment for Achilles tendonitis includes massage, manipulation and ultrasound applied to the tendon. An active treatment regime would include stretches and strengthening/loading exercises for the Achilles tendon. Correcting & supporting a flatter foot (with an insole), raising the heel slightly(with an insole or high heel) and blocking ankle movement (with some form of boot) are all additional things that may help reduce pain from the Achilles tendon. A long post-operative boot continuously used for all weight bearing activity for perhaps 6 or 8 weeks could be considered. It is probably a 50% call whether it helps. Shockwave treatment is well established in various parts of the body and increasingly so for use with tendonopathy, not just the Achilles. 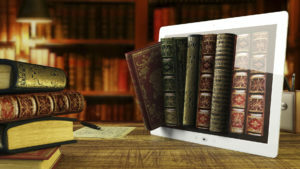 It involves passing high frequency and intensity ultrasound through the skin directly into the painful area of tendon. The mechanism of action is not entirely clear but it does seem in some cases to stimulate a healing response in the area of degenerative tendon. Treatment sessions usually last 5-10 minutes and are repeated on a weekly basis over 3-5 weeks. The treatment itself is slightly uncomfortable. There is a small chance of a tendon rupturing after shockwave treatment and it is not unusual to be advised to limit activities after treatment sessions. It is effective in up to 55% of patients. How Soon Should Non-Operative Treatment of Achilles Tendonitis Improve Symptoms? It should be evident within 6 weeks whether conservative management of Achilles tendonitis is the correct route . More prolonged treatment is likely to be required but the direction of travel should be clear within the first 6 weeks. The key point is to be clear about before injecting is whether the underlying diagnosis is one of Achilles tendonitis (superficial inflammation) or actually Achilles tendinosis (where degenerative change to the underlying Achilles exists which is more common). If superficial inflammation exists then it would be accepted practice to infiltrate into the superficial layers of the paratenon (an outer membrane around the Achilles tendon) some steroid combined with local anaesthetic. The chance of this settling tendonitis down is likely in the region of 65%. Small risks associated are some discolouration of skin and thinning of the fat where the injection is inserted ,a very small risk of infection or tendon rupture. If there is underlying degenerative change of the tendon then the risk that that the tendon may rupture as a result of the steroid having been used and this should be avoided. Injection techniques can however be used for Achilles tendinosis (degenerative change) but these are either to “dry needle” the tendon or to inject fractionated plasma. Fractionated plasma injections involve having a few mls of your blood removed and this is then centrifuged there and then to yield the plasma fraction of the blood (a yellow, straw colour fluid). This is injected directly into the tendon (as opposed to around the tendon with steroid and local anaesthetic). If there are relatively small areas of degenerative change within the tendon then this technique does work well. It should be noted that following this type of procedure it would be normal practice to need to use a post-op boot for 2 or 3 weeks, rather like after surgery. The dry needling technique involves, under ultrasound guidance, injuring small areas of degenerative change by inserting a needle full depth into them and moving it up and down to create some localised tissue damage which results in tendon healing. This really only works for small areas of degenerative change. It would also be usual to use a long post-operative boot for several weeks following this type of procedure. Following an MRI or ultrasound scan of the Achilles tendon the extent of the degenerative change will have been defined. 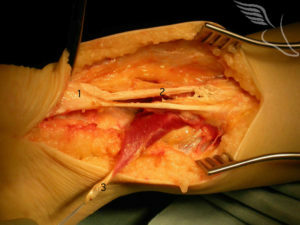 The two main types of operation for Achilles tendinosis are either a stripping of the outer sheath (paratenon) and longitudinal incisions into the tendon (known as a debridement) or a major excision of large portions of the tendon, the defects thus created then being reconstructed using either allograft (donor tendon) or more commonly using a flexor hallucis longus tendon transfer. A small incision can be used for cases of debridement (as shown above). The picture above shows a case of Achilles tendinosis with more minor degrees of degenerative change. These areas are being stimulated to repair by incising the tendon in the line of its fibres which stimulates an ingrowth of blood vessels and results in a healing response. With severe Achilles tendinosis, occasionally a large area of painful tendon needs to be excised which then produces a defect which requires filling. This is best done by transferring the flexor hallucis longus muscle belly and tendon, which lies adjacent to the Achilles tendon. This results in a composite/double tendon after the operation, with little deficit usually noticed by transferring the tendon FHL tendon whose action is just to curl down the very tip of the big toe.